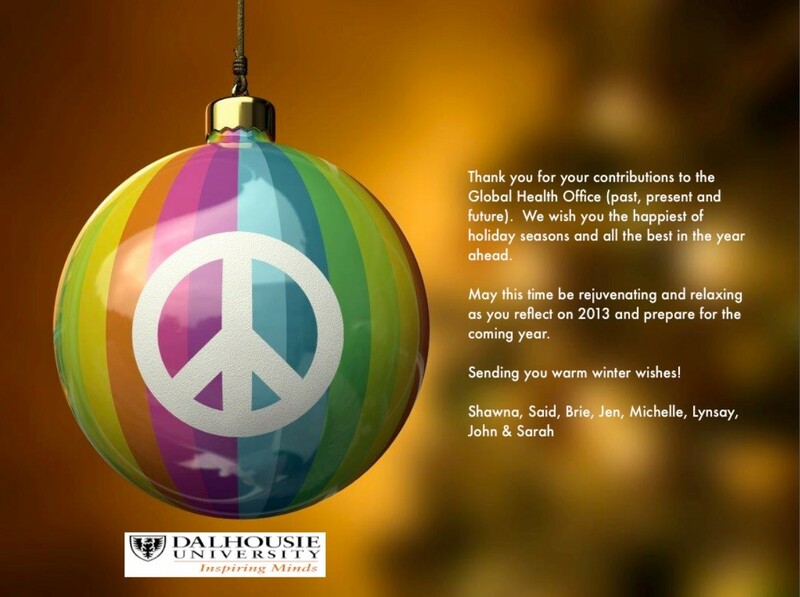 Each year, the Dalhousie Global Health Office celebrates the holidays with the 12 Days of Global Health. This year’s “12 Days” are 12 informative and engaging readings and videos related to global health. 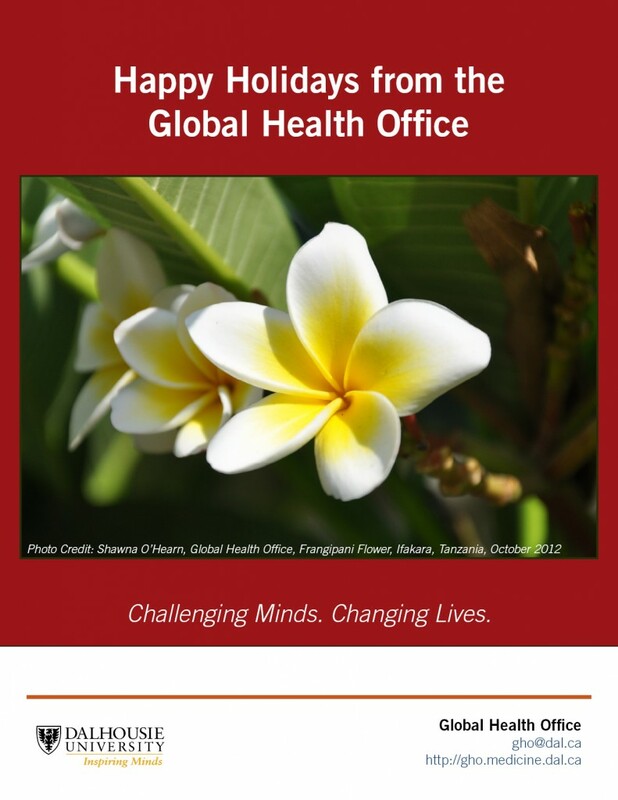 As we wish you a happy holiday season, we hope you will take a bit of time each day to work your way through the list, and enrich your learning in global health. All the best in the coming New Year! The Millennium Development Goals (MDGs) will conclude at the end of 2015, and the United Nations has presented the Sustainable Development Goals (SDGs) as their successor. These 17 goals will help set priorities in global health research over the next 15 years. This video tells the story of the world in 200 countries over 200 years, examining primarily the relationship between life expectancy and income. He engagingly presents over 120,000 numbers in 4 minutes! Poverty Inc. examines the business of fighting poverty, a multi- billion dollar industry. This film challenges viewers to examine whether they are part of the problem, and to reflect on how we may find a better solution to poverty. We will be co-hosting a film screening with the Health Association of African Canadians Student Organization in 2016. This movie tells the story of five Ethiopian Women reclaiming their dignity and identity after suffering from Obstetric Fistula, being rejected by their husbands and ostracized by their communities. 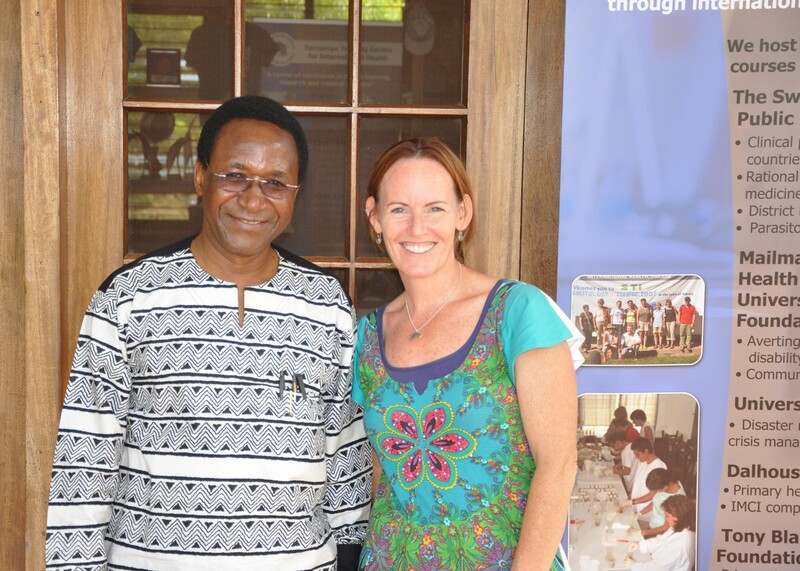 One of the mandates of our partners in Tanzania (CCBRT) is to decrease cases of obstetric fistula. 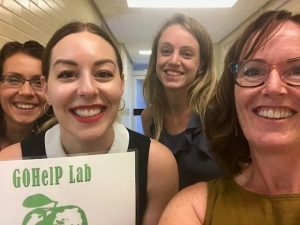 On our office blog we cover topics such as research partnerships, events and opportunities in global health here at Dalhousie University. We also highlight and explain current issues in global health for your reading pleasure! We hope you take the time to read some of our posts, and become more in tune with what’s happening in the field of global health. Dalhousie University has a long standing partnership with the TTCIH, and together they have recently launched the ASDIT project. Learn a bit more about one of our partners from the perspective of Professor Senga Pemba, the director of the TTCIH. Want a picture of what health looked like in 2015 in the 194 Member States of the World Health Organization (WHO)? Check out this extensive report for information on everything from cause-specific mortality rates to health expenditures as a percentage of gross domestic product (GDP). Interested in the Syrian refugee crisis and wondering how Canada plans to resettle 25,000 refugees by the end of February 2016? This website outlines the phases of welcoming refugees that will be taking place across Canada over the next few months. There are also opportunities to join the social media conversation, and find out what you can do to help. The definition of Global Health varies greatly around the globe which may cause confusion about the scope and purpose of relevant practice and research. Therefore, it is important to set out what we mean by Global Health and how it is distinct in its present context. Did you know that climate change can impact the social and environmental determinants of health? This fact sheet provides an overview of climate change’s health and well-being effects worldwide. This sobering TED Talk by Maryn McKenna examines how antibiotics have changed everything in the world of healthcare; and how if we don’t act soon to address antibiotic resistance, we may be entering a post-antibiotic world. As we look back on global health in 2015, it is a useful exercise to reflect on some of this year’s global health priorities. In January 2015, Humanosphere published a list of 10 issues they thought would shape global health in 2015—do you agree? What do you think will impact global health in 2016? Check back later this week for yet ANOTHER holiday blog post! As always, if you want more information on what we do at the Global Health Office, check out our Website, Facebook, Twitter, Instagram or send us an e-mail at gho@dal.ca. Here is our countdown for you. and we hosted the first Global Health Rounds at Dalhousie! Thank you for a successful year of exciting new initiatives and planning for the future. As we look back on our achievements, we would like to thank all of our friends for contributing to this success. We are excited about a bright 2015! The Global Health Office at Dalhousie University. I want to extend a warm welcome to all new and returning students. I hope you will have a rewarding and successful academic year. The Global Health Office is here to support your success as a member of the Dalhousie University community. To that end, we want to ensure that you know how to locate the wide variety of resources available to you and that you are aware of and have easy access to the programs and opportunities that pertain to you as a student. We invite you to join us for Global Health Day on September 24 from 3-5 pm in the Tupper Link. This Open House will showcase faculty and student research initiatives and education programs in Global Health. You will meet leaders in our community who are involved in global health research, clinical practice and medical education. It will be a wonderful opportunity to identify research questions, mentors and community organizations that you can work with throughout your academic training. Join our mailing list and you will receive a biweekly bulletin which will keep you up to date on events, job postings and funding opportunities in global health. Welcome to Dalhousie University. We look forward to working with you throughout the year. Wishing you and yours a happy and healthy holiday season. Looking forward to 2013!